With Myrtle Beach National Kings North the impressive list of accolades just keeps growing. It was named as the “Top 100 Courses For Women”, in “America’s Top 10”, named “South Carolina’s 1997 Course Of The Year.” The course also features four holes featured in “The 100 Greatest Holes Along The Grand Strand.” These honors justify why the course is considered among the best golf courses you “must play” on the Grand Strand. 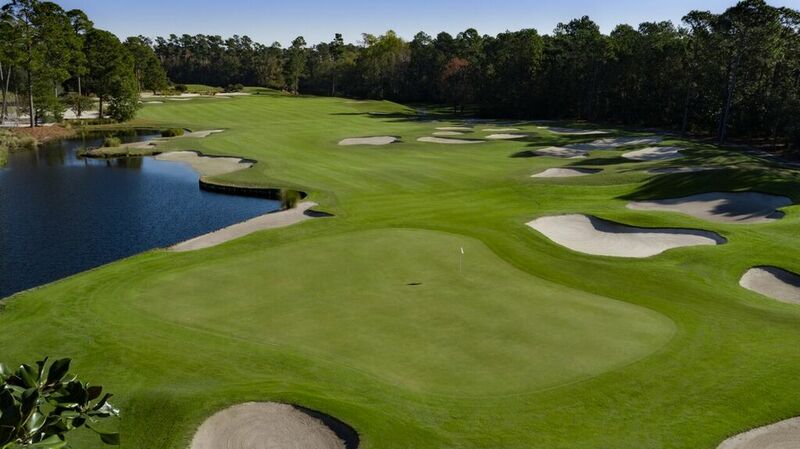 Kings North is famous for the island green and South Carolina-shaped sand traps of Hole 3. Equally famous is the tempting “short cut” on the island fairway of Hole 6, known as “The Gambler.” And don’t forget the more than 40 sand traps guarding the fairway on Hole 18. It is easy to see why this has been the most recognized and requested beach course to play golf on for over 25 years. Arnold Palmer returned in 1996 to redesign, and made improvements to the course. As a result it continue to challenge the golfer’s skill and determination. Kings North maintains the already achieved success, but continues to improve its golf experience.